At least one hour of daily swim time, including a lesson! Daily camper space will be offered based on availability (determined 1 week prior to the start of a session). Every summer we offer a condensed program where swimmers attend a class every day for 2 weeks, Monday through Friday, starting in late May and continuing throughout the summer. 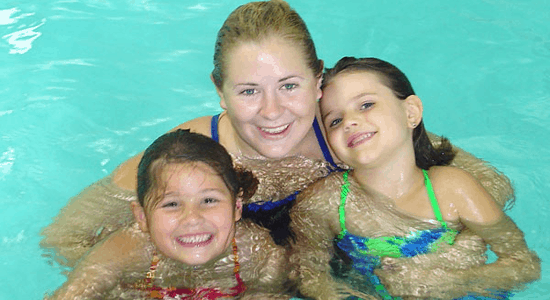 We offer morning (9:15 – 12:45) and afternoon (2:45 – 6:15) sessions for levels AquaToddler thru AquaPro. These are ideal for families who have out of town travel plans during summer or want to accelerate their child’s learning.